How to get a 5% discount! RMS utilizes some of today’s most advanced, sophisticated technologies in an effort to better serve you, the customer. We incorporate servers onsite where we maintain and store all calibration certificates and related data. We provide 100% accuracy and availability 24 hours a day, 7 days a week. This all equates to an easy to use, paperless system that is available on nearly any computer, smart phone, or tablet available. 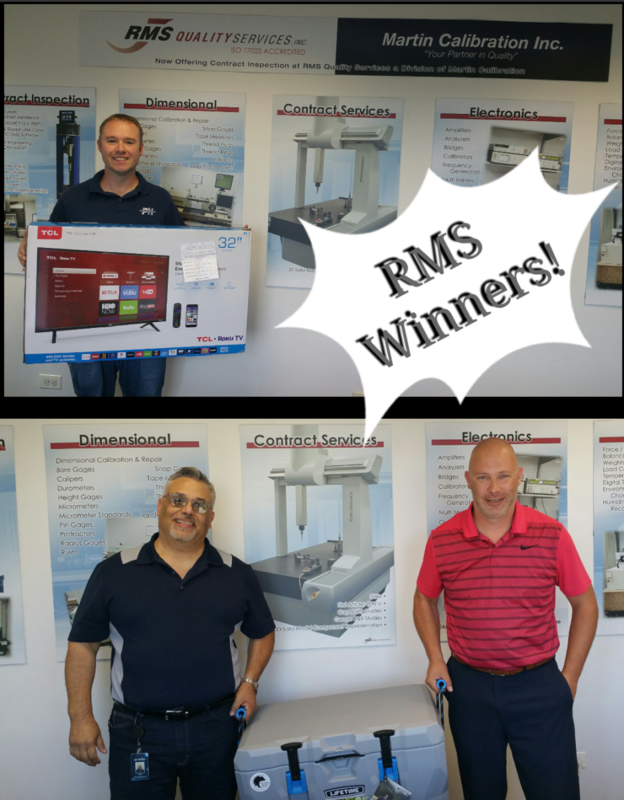 Customer Appreciation - Open House Event Winners & Photos! We have been working with RMS to take care of about 90% of our calibration needs. They have gone above and beyond to help us in some of our most recent audits. RMS has always made my emergencies their emergencies. I never know when an unexpected calibration is needed and have never been let down. Just incredible service. There isn't just one time they exceed my expectations. RMS is always around when I need them. — Chuck Rusk - Tecomet, Inc.
We look forward to assisting you in your calibration and contract inspection needs. Contact RMS Quality Services today to learn more about our capabilities, services, and accreditations.